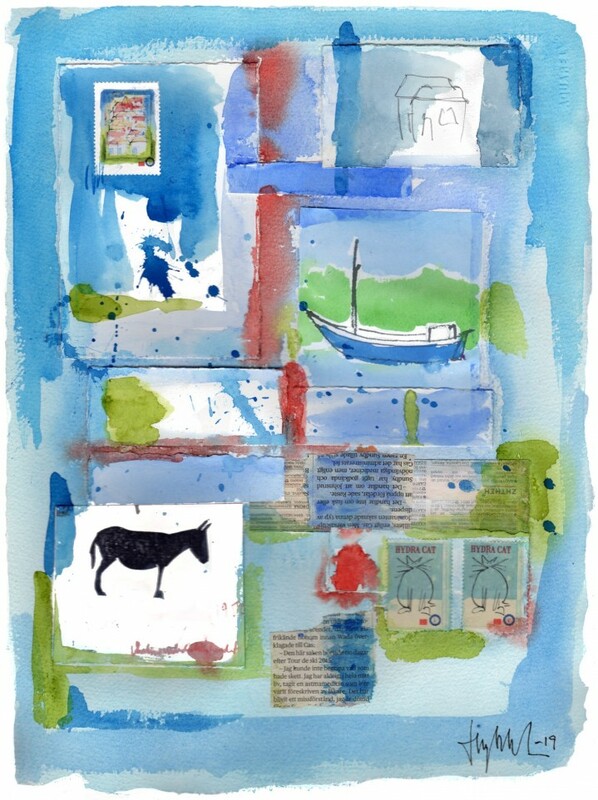 Sort of a memory piece with assorted Greek colors and some of my friends from the island. "Hydra, Greece (take 28)". 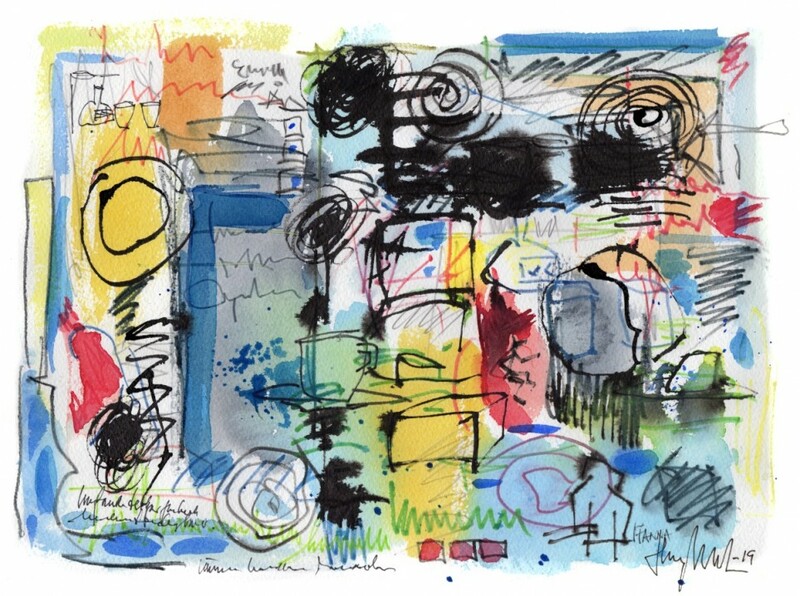 Watercolor, pen, collage, rubberstamp. 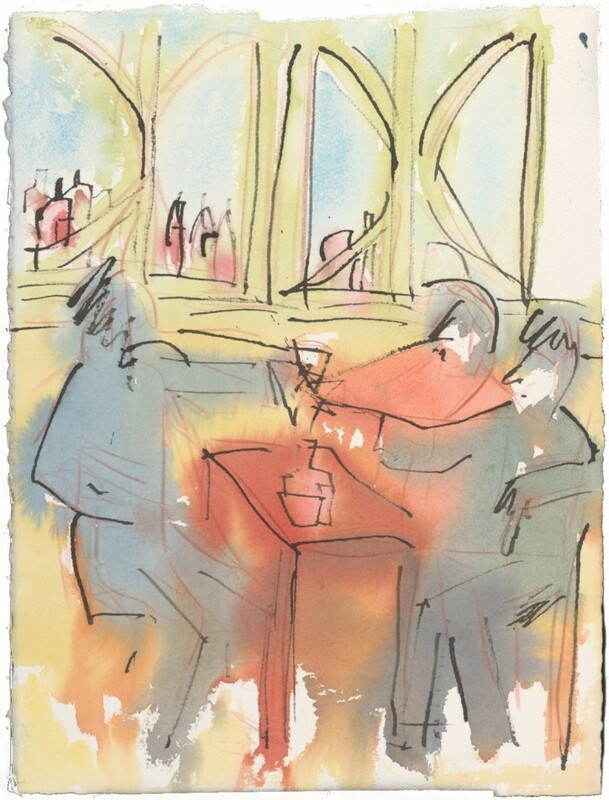 Size 19 x 28cm (7.5 x 11"). OK, it's getting lighter every day here in Hökarängen but it's easy to dream about the Greek light. 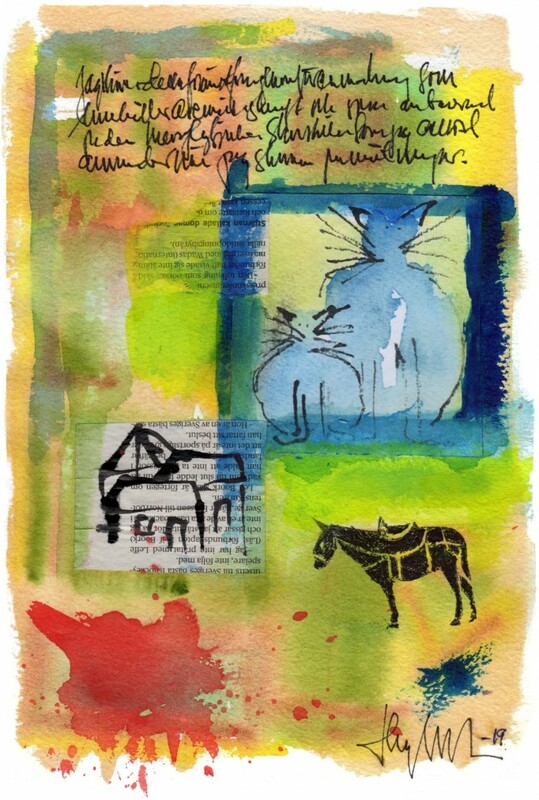 Here a new watercolor/collage painting, with some mailart pieces added, artistamps and a rubberstamp donkey imprint. Size 28 x 38cm (11 x 15"). Another more or less abstract painting. 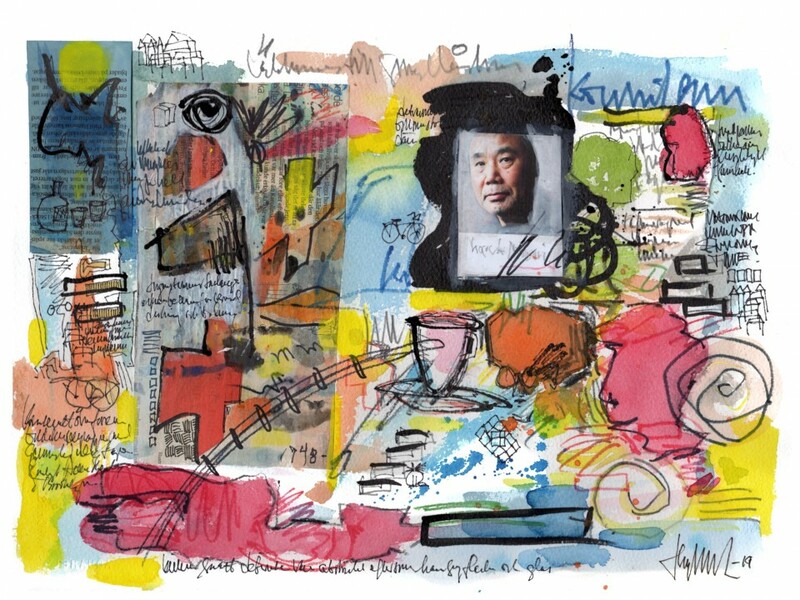 Including a small tribute to my favorite author Haruki Murakami, who turned 70 in January. This is watercolor, pen & ink and it's 38 x 28cm (15 x 11"). 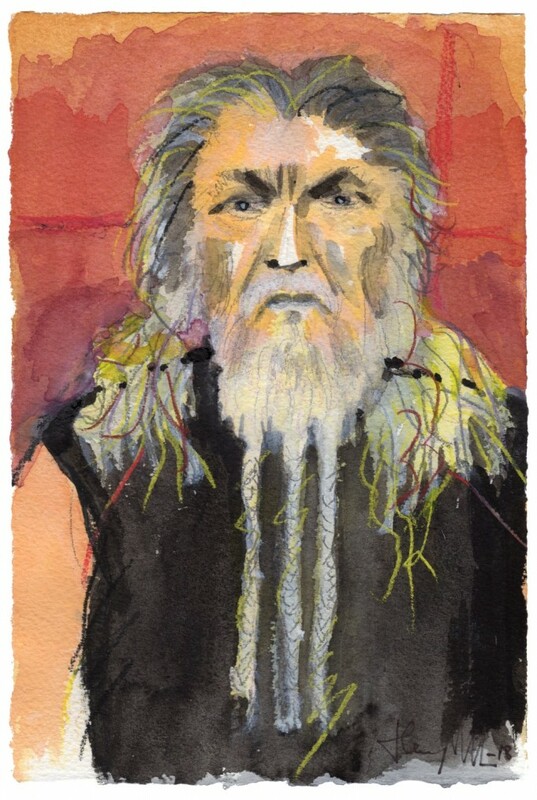 Watercolor portrait of poet and author Ron Whitehead. What a productive man - check out his page on Wikipedia. A sketchy portrait of Sal Nistico. This one´s for Johnny Brewton. I'd heard Sal Nistico's name but I didn´t know much about this guy when Johnny mentioned him. He played mostly tenor sax and was with Woody Herman in the sixties. But he was more of a bebop man on his own albums later. 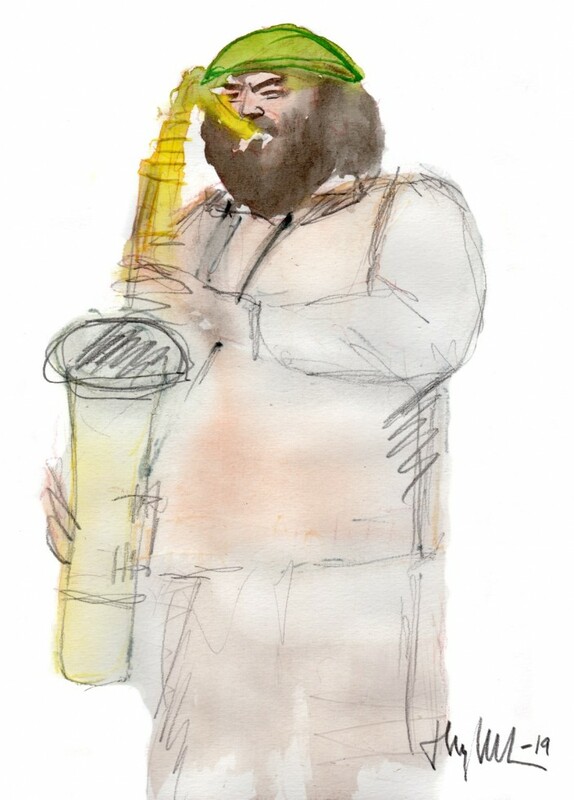 He also played together with Nick Brignola, the bariton saxophone guy.